PHP originally stood for personal home page. But now it is used in its recursive initialism PHP: hypertext preprocessor. 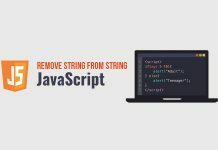 It is generally a server-side scripting processor or language designed for generally web development. PHP code may be embedded into HTML code and can be used both for various web pages and web framework. The standard PHP interpreter is a free software released under the PHP license. PHP has been most widely ported and can be deployed on most PHP servers and almost every operating systems and platforms, free of charge. It is a very common web language and is used in wide range allover the world. The are two primary ways for adding support for PHP to a web server- as a native web server module or as a CGI executable. PHP has a direct module interface called SAPI(Server application programming interface) for different web servers. Numerous configuration options are supported, affecting both core PHP features and extensions. WordPress is the most popular website management system in use. WordPress is a free and open source content management system (CMS) based on PHP and MySQL. It is mainly associated with blogging but also supports other types of web contents, like- e-mails, media galleries and online stores. WordPress has also been used for other application domains as pervasive display systems(PDS). To function, WordPress has to be installed On a web server as a computer software or Part of an internet hosting service. WordPress has a web template software using a template processor. Every WordPress website requires at least one theme to be present and every theme should be designed using WordPress standards with structured PHP, valid HTML(Hypertext Markup Language). WordPress users may also create and develop their own desired themes. It is the easiest and free of cost website that is used in a wide range around the world. 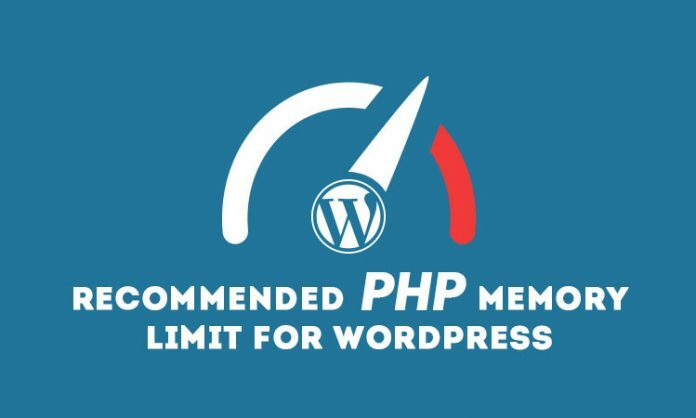 What is PHP memory limit for WordPress? WordPress will come with 40 MB of PHP memory. WordPress will Attempt to increase memory allocated to PHP to 40 MB of memory for single site and 64 MB for multisite. 128MB of WordPress configuration php memory is more than enough for the general users. But the memory limit can be increased and it is expandable to 256MB of php memory. To reach the increased limit you need to have a detailed analysis of your system and the memory usage. The configuration setting also need to be checked. PHP memory is generally used to store the PHP information’s to do certain tasks in WordPress or any web pages. When to increase the PHP memory limit in WordPress? When you are loading a page, it is half loaded and stop rendering, you must realize that you have to increase your PHP memory limit. Sometimes you may get a blank page or some massages stating ‘Fatal error’ or an amount of memory is exhausted etc., then you have to extend your host( PHP) memory limit in WordPress to complete the half done tasks. How to increase the PHP memory limit in WordPress? There are various ways to increase your memory limits. We will discuss it below. There may be various Hosts. The increasing memory limit differs in various hosts. It is a complex task. So it is better to contact your hosting company to help you in their own way. It will be beneficial for both of you. Login cPanel and search for Select PHP version in Software section. Click on Change to PHP options. Modify the post_max_size and upload_max_filesize values. Click on Save button to save the changes. Open wp-config.php, which is located in the root WordPress directory. and edit this line in your code. php memory is expandable. You can also have some expert opinions. So next time whenever you receive some error massage, don’t get panicked. Just try these solutions.